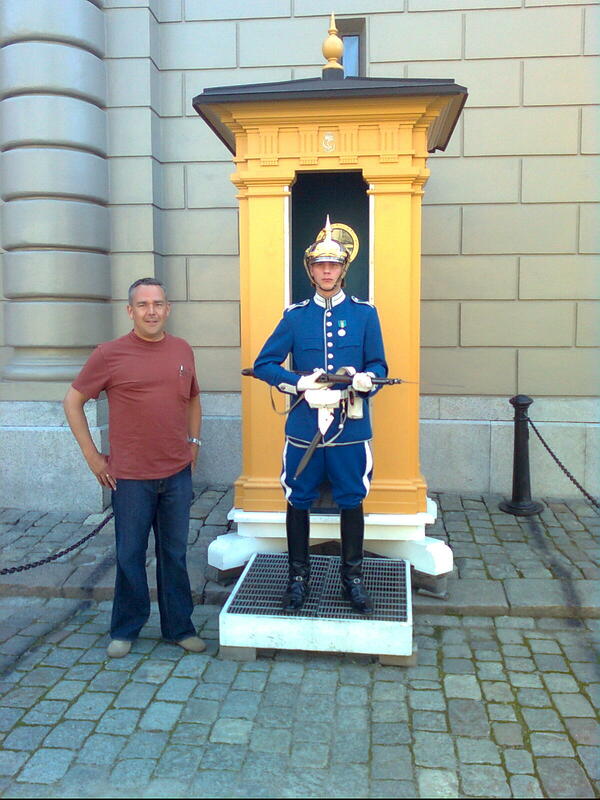 Does this Swedish child soldier make me look fat? For good or bad, "I been everywhere man." Over the years, I've shot video in 24 countries, many repeatedly. I've seen every continent, many islands and nearly all the seas. I've had my fair share of minority moments (me as minority), language barriers, cringing at the sanitation and enduring third world cuisine. Adobe walls, mud huts, corrugated tin roofs, insane traffic and inefficiency no longer charm me. There are places I love to do my job. There are places I hate to do my job. And there are travel destinations I end up as a fringe benefit to my job. Love passionately: The Spanish Coast near Tossa de Mar. Bruno Rosich took me kayaking on the Mediterranean a couple years ago. We paddled the capes and beaches for four days and camped on the beaches. The sea was wild and challenging in places and peaceful and calm in others. I flipped once, we swam through a dark fissure in a cave and surfed through sandstone canals in the rocks. Purely the highest combination of fun and beauty I've ever experienced. Often times when it was calm bare breasted Spanish women dotted the rocks, boats and sand around us. Tossa, Bruno's summer hometown and the surrounding area, are a true paradise and a career highlight. I loved it deeply when I first went there. I loved it because there were beautiful women in all directions and great food. Why is the love past tense? I discovered the ladies rarely hables the anglais. Even if a man speaks Spanish, he must dress like a metrosexual to make progress. I always forget my Yasser Arafat scarf. I like dinner when pioneers ate dinner. 5:00 PM. 9:00 PM is bedtime not dinnertime. Ever wonder why we're the superpower? "Early to bed, early to rise makes a man healthy, wealthy and wise." Someone translate that into Spanish for me. Final reason I'm cooked on B-lona? Bi-polar men. You say "latin passion" I say "mentally unstable". Tomato tomato. This is my new and improved Barcelona. Cleaner, the ladies speak great English, are friendlier and across the board, hotter than B-lona. The more John Wayne you are the better. They eat it up. I'm turbo-'merican so if I'm supposed to hide it, I can't play. The food is better and they serve dinner prior to nine PM. Downside, they still subsidize high-roller welfare bums. They call them royalty. When I hear the term "white-devil" my first response is, "yes, may I help you?" So, being called to prayer at odd hours, being surrounded by minarets and sharing lodging with, the opposite of Uncle Sam's fan club rubs me in a bad way. Why don't I work for the Mut Chamber of Commerce? Filth. Each time I thought there wasn't a filthier way to handle food someone found and implemented it. "How should we move this bread from one tub to another?" "Well, we could lift and tip one tub and use gravity to pour the slices untouched into the other tub." "Or we could handle each slice individually with our filthy hands." "Where should we stack these crates of vegetables?" "There's sewage dribbling down the stairs below the 'toilet' and running onto the floor." Flies. How does a tub of bread accumulate more flies than a day old gut pile on the edge of a Mexican village? There's a reason we don't use a length of garden hose lying on the floor to cleanse our bungholes. It's called research. Mut also failed in the soup and strippers departments. Soup is the batting box before knocking dinner out of the park. Soup is not a complete meal before the age of 75. Strippers need to strip. I don't care if it's a Muslim country. Strip or wait tables. A quick note to strippers the world over: You only need to talk when there is an emergency (fire or armed robbers) or I'm in violation of local statutes. I don't care where you grew up or plan to attend phlebotomy school, especially in broken English. ***Don't despair, I've got lots more favorites to come. These are just the few that jumped out at me.